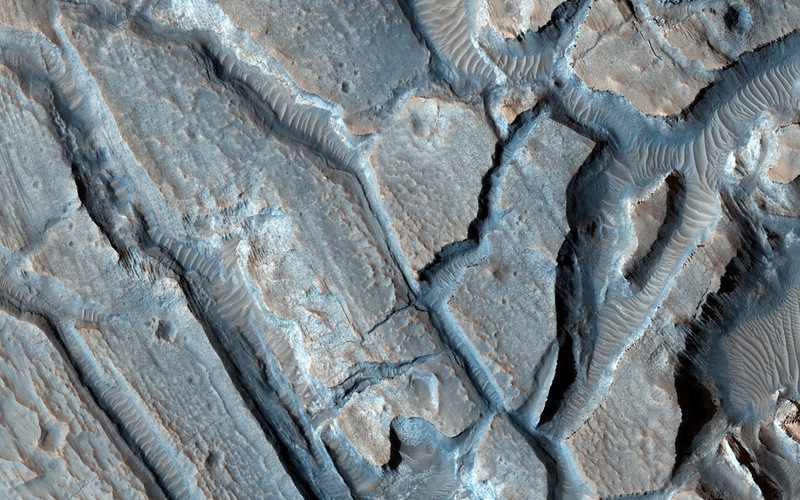 This image shows some interesting fractured materials on the floor of an impact crater in Arabia Terra. 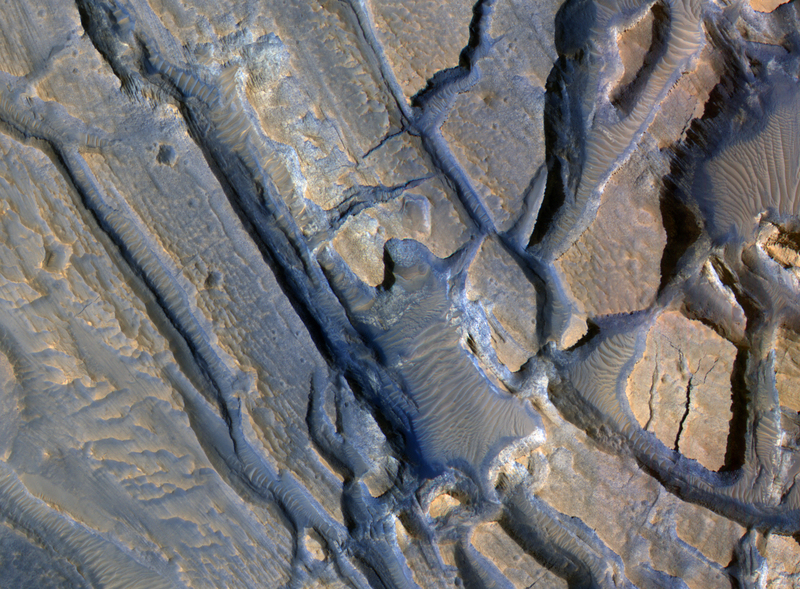 There is a channel entering the crater and exiting it (see CTX image). This channel, along with an unusual deposit on the lowest part of the floor, suggests that there was once an ancient lake that deposited sediments here. Our enhanced-color sample shows layered deposits, some with polygonal patterns, as might be expected from lake sediments. The fracturing of these deposits might have resulted from the sudden breaching of the crater rim, draining the lake. This is a stereo pair with ESP_035843_2165. Note: For more information, see PIA18625: Ancient Lake Sediments in a Crater.